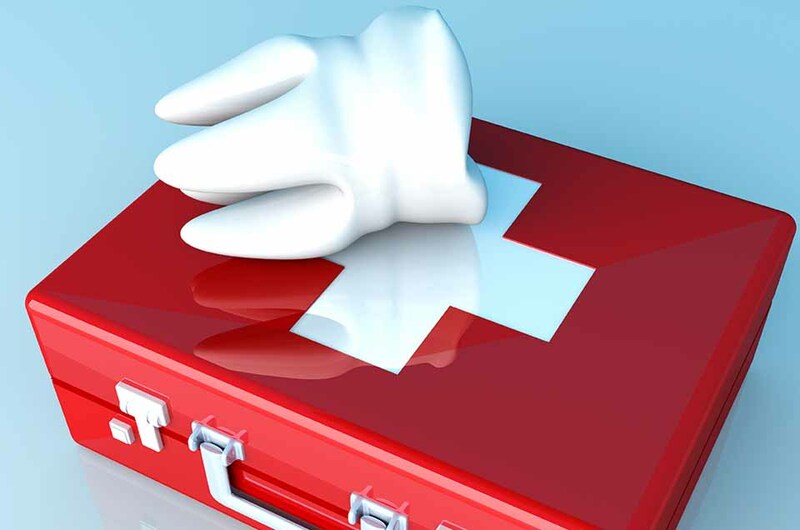 Teeth emergencies can occur when you least expect them. So, when this unfortunate circumstance does occur, you need to have a respected, experienced and affordable dental team on your side to handle your teeth emergencies. That’s exactly what you get from our dedicated team at All Season Dental in Ravenna, Ohio. Don’t put a dental emergency off just because you don’t have a dentist that you can trust. Our dental emergency team has handled all sorts of teeth problems. There’s no dental emergency that we shy away from handling. Knocked Out Tooth – Did a tooth get knocked out of your mouth while playing your favorite sport? Did you bite into something hard and your adult tooth came out? It is important to quickly call our staff at All Season Dental so that we can determine the damage that has occurred and create a treatment plan. Damaged Tooth – Fracturing or cracking a tooth can cause a lot of pain. If this has happened to you, give us a call as soon as possible and we’ll do our absolute best to fit you in on the same day. In the meantime, a small dose of over-the-counter pain medication and ice is a great way to gain temporary relief from the damaged tooth. Infected Tooth – A tooth infection is not something that you should try to manage on your own. Instead, pick up the phone and call All Season Dental so that we can treat the infection head on! The last thing that you want is for the infection to get worse, so it is important to seek emergency dental care quickly. It is important to know that there are certain steps you can take to avoid teeth emergencies. First and foremost, making sure that you visit your local dentist for a regular dental appointment twice a year is a critical step. If you play sports, consider utilizing a mouthguard while playing or practicing. Always be sure to brush and floss your teeth on a regular basis and try your best to avoid foods that are rough on your teeth. At All Season Dental, we willingly take on teeth emergencies that other dental professionals shy away from. If you’ve just experienced a dental emergency that needs to be evaluated, pick up the phone and call our dental team at All Season Dental today at (330) 296-3975 or email us. We’ll do everything in our power to see you as quickly as possible so that you can feel some relief from the tooth pain or injury that you’re experiencing.